I have sea glass envy. 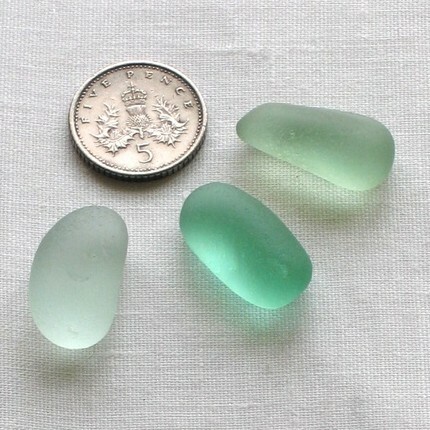 I would travel to England just for the sea glass – even though I hate flying in a very, very, very, very, very big way. I see photos of perfectly frosted, round gems – plucked from English shores, and shake my head; if only I would have known about sea glass 18 years ago when I was backpacking in Britain. Then again, it’s doubtful I would have been able to jam much into that already crammed-to-capacity backpack. Someday I will visit Britain once again carrying an empty suitcase, instead of a backpack. Hi John. Sorry I don’t know much about English Sea Glass. I do know that it’s pretty darn beautiful, but I’ve yet to hold any in my hands.